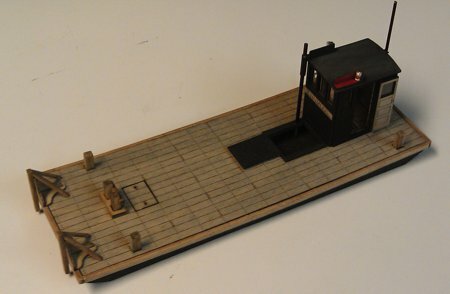 This "customized" small scow kit is a narrow gas powered motorized scow with stacking knees and a tow bit. The design has a slight sheer fore and aft with an engine compartment forward of the pilot house. 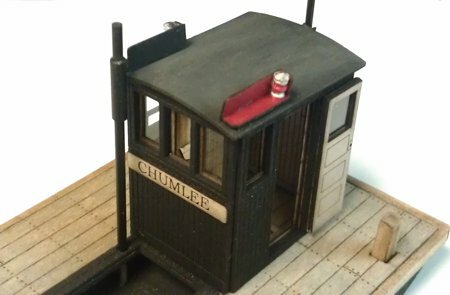 The inside of the wheel house is fully detailed. These kits are made unique with a client supplied boat name which is "lazed" into the wood. 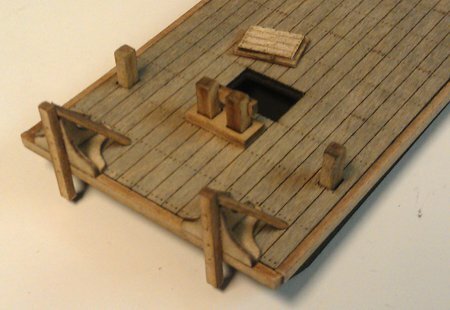 Windows and hatches may be positioned as desired to allow the interior or kit bashed details to be visible.